Another month has gone by and I have used the Detours Phinney Bag on two mountain bike rides and one road bike ride. I am doing an unsupported century ride this weekend that is in a remote area with a chance of rain and the Phinney Bag will be with me. 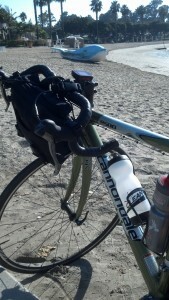 This entry was posted in Reviews and tagged 4alloutdoors, 4alloutdoors.org, bicycle, cycling, cycling review, Phinney Bag. Bookmark the permalink.